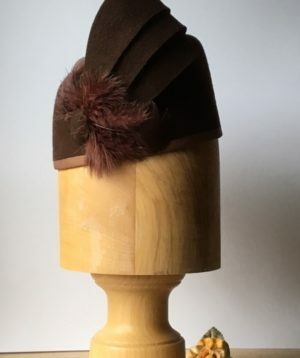 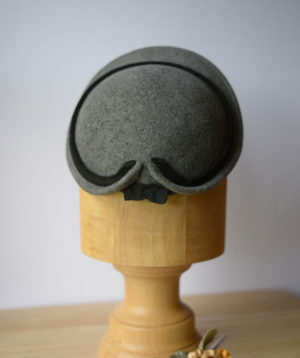 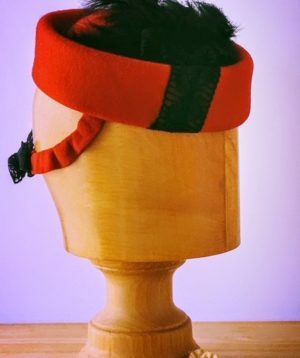 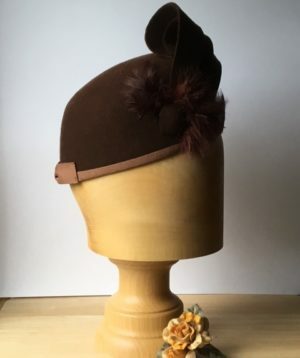 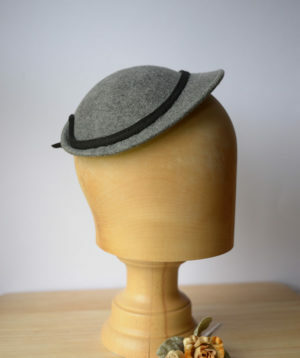 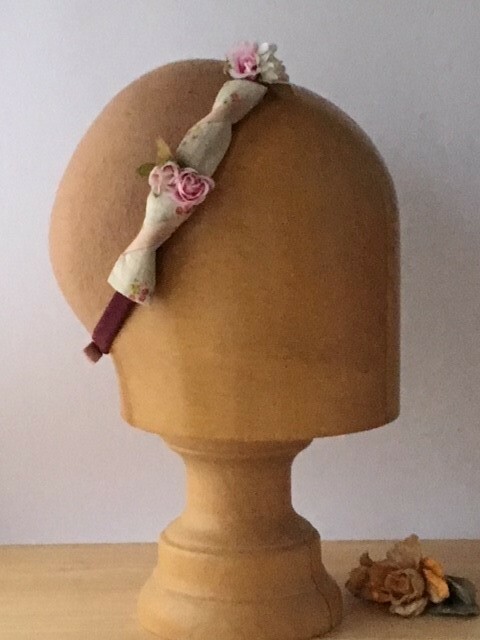 Light Caramel coloured felt calot style hat, can be worn on the back or further forward depending on style. 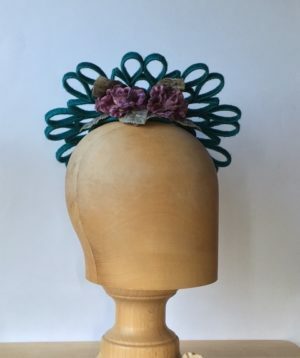 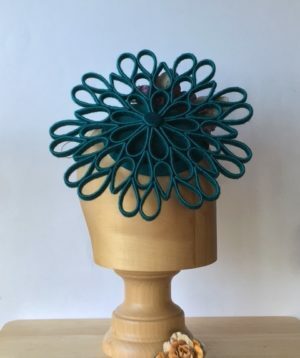 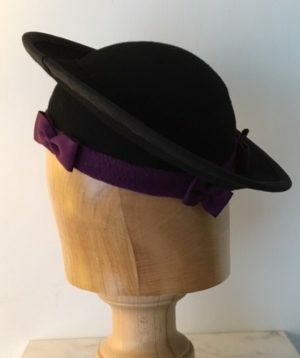 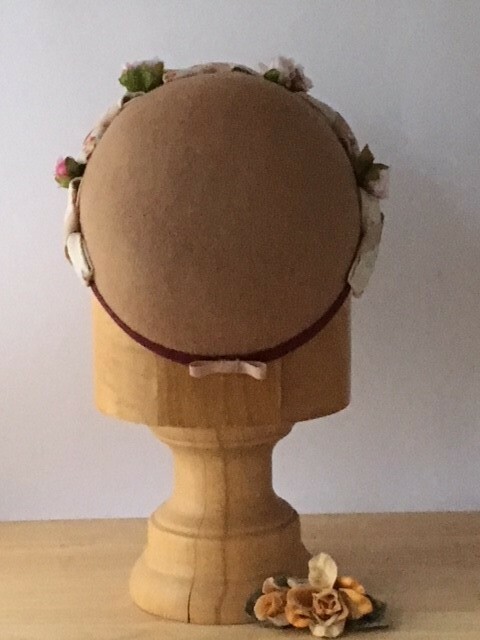 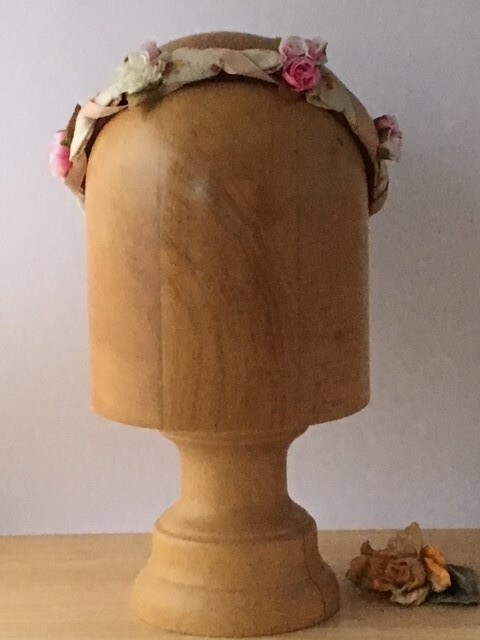 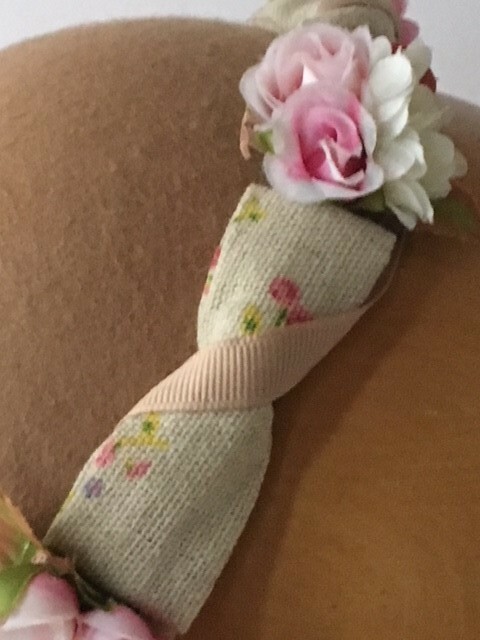 Hat is wired at crown edge and on crown edge circled and covered with petersham grosgrain ribbon, linen bows and flowers. 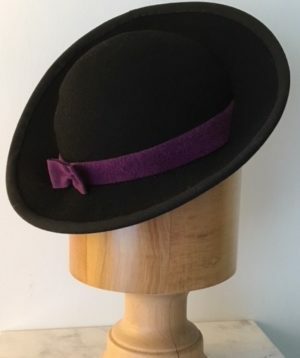 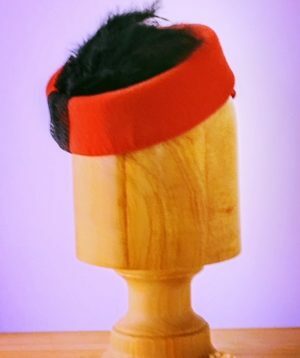 Hat comes unlined.